August 4, 2014 / Rachel C.
Whew, these rapid fire posts are wearing me out! It’s kind of fun though, to see how many of these OMD2 challenges I can finish in 5 days. This is the 19th so far, I think. Most of them have been pretty good too, despite how quickly I’m churning them out. And this one is a good one too! In general, I like chevrons. 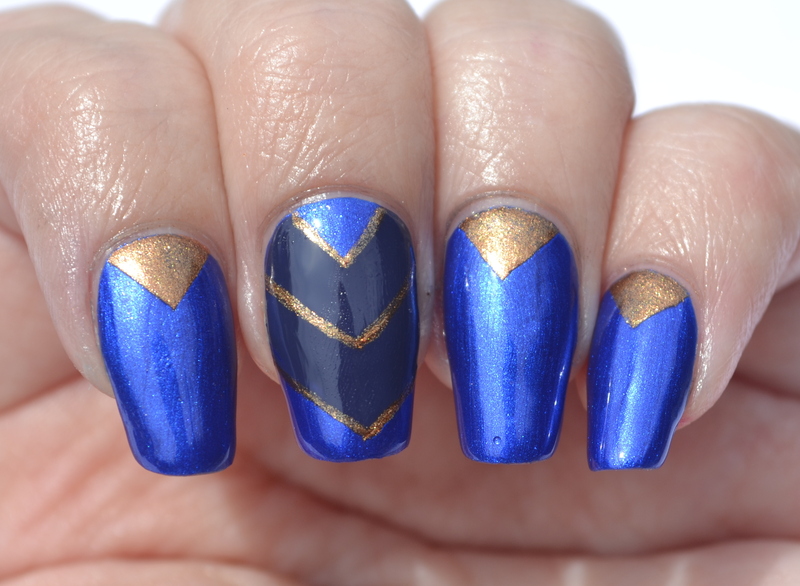 I’ve never done the multiple chevrons in a row that seems to be so popular right now (you know, the zigzag looking ones), but I do like doing simpler ones. 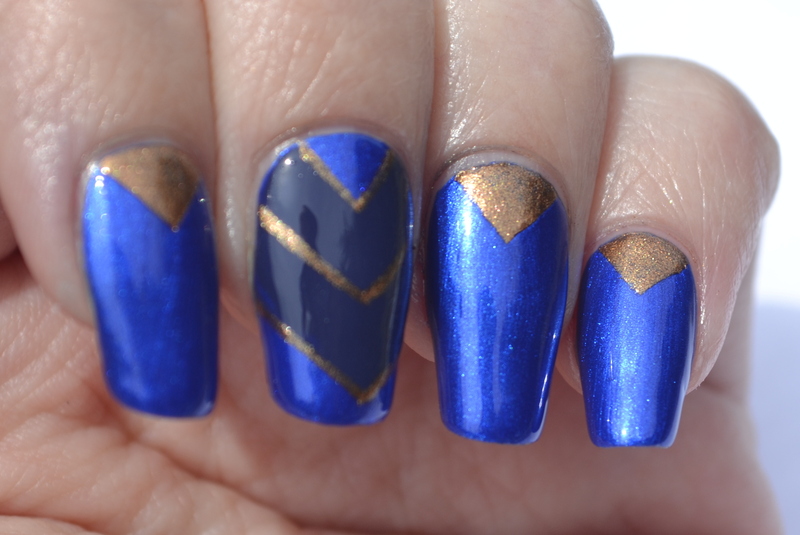 And today I pulled out possibly the best chevron nail art I have ever done. I love this! I seem to be saying that a lot lately since I have been doing so much nail art, but dang, these are pretty. This is another mani that I hated to even think of taking off soon after painting it. I mean really, as pretty as it looks in the photos, it was so much better in person. And look! Clean lines again. I’m getting better with striping brushes. This color combination sort of reminds me of the TARDIS. 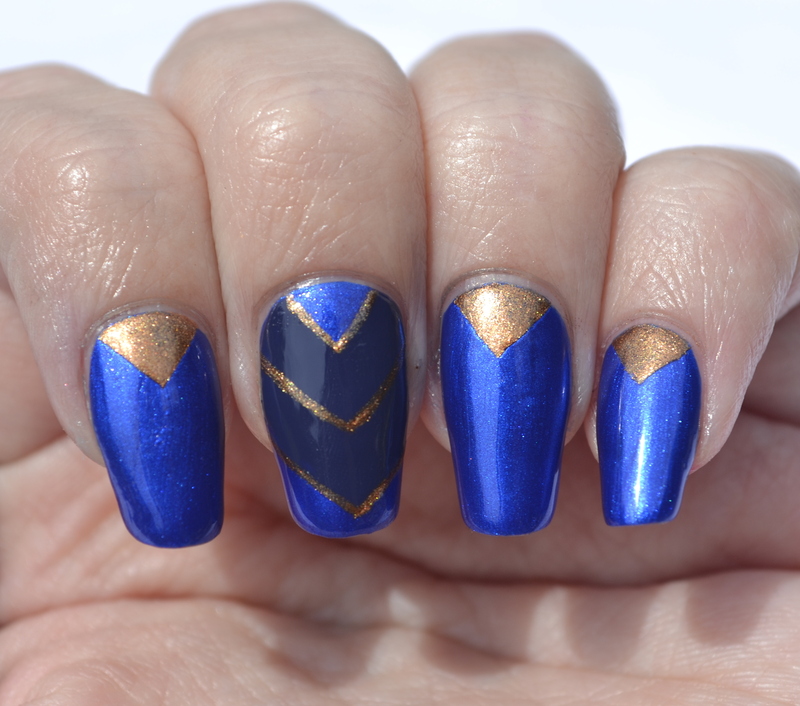 Ooh, I bet these would be good, classy nails for the Doctor Who wedding in September, instead of something blatantly based on Doctor Who. 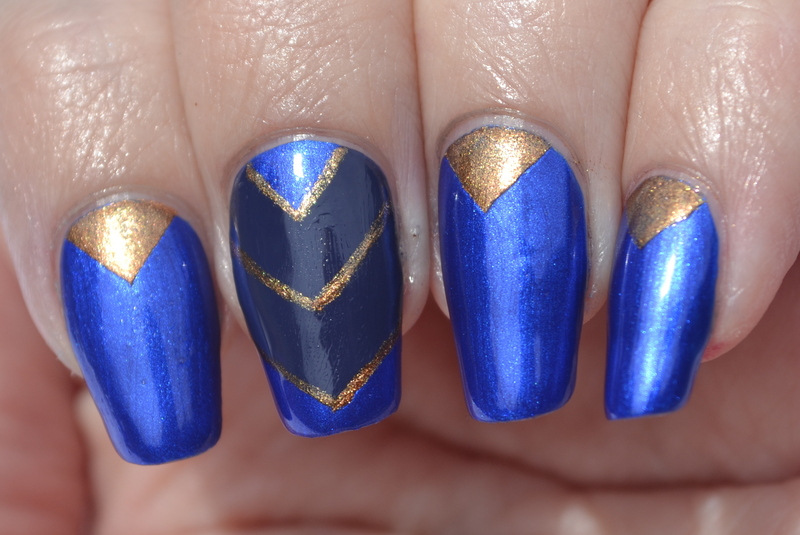 The colors are Kleancolor Cobalt, Zoya Sailor, and Charming Charlie Metallic Metal. I don’t think any of my answers to the next challenges can possibly beat this one, but I’ll keep soldiering on anyway. The next one is animal print.